Recently CNN and other news outlets reported on two memos prepared by the Census Bureau for Commence Secretary Wilbur Ross dealing with the possible inclusion of a citizenship question on the 2020 census. Apparently the memos, and a great deal of related information, were leaked to the media in anticipation of a House hearing on the matter. The January 18 memo has basically three conclusions: 1) Adding a citizenship question would increase the need for non-response follow-up (NRFU); 2) the increase in NRFU would add to the cost of the census; and 3) matching administrative data to the census would produce more accurate results than adding a citizenship question. The memo states that adding the question would be "very costly", would harm "the quality of the Census count", and produce "substantially less accurate citizenship data" than the alternative of using administrative data (p. 001277). However, the above conclusion seems unjustifiably unequivocal relative to the actual analysis in the memo. In fact, relative to the overall budget and scale of the 2020 census, the costs and administrative burden discussed in the memo seem almost trivial. Moreover, the memos do not really explain in much detail how shortcomings in administrative data, primarily that of the Social Security Administration and IRS, will be entirely overcome. It is also worth adding that while the memo argues that adding the question would increase the need for follow-up in some households by Census enumerators, it does not clearly state that the inclusion of the question would increase the size of the undercount — which is the central contention of many of those who oppose the question. The decision to add a citizenship question started with a December 12, 2017, request from the U.S. Department of Justice (DOJ) to the Department of Commerce, which supervises the census, to add a citizenship question back into the census for 2020. The stated purpose of the question was to provide local-level citizenship data to better enforce the Voting Right Act. When the Department of Commerce announced on March 26, 2018, that it was going to include the citizenship question currently used in the American Community Survey (ACS) in the 2020 census, it made clear it had considered three options in response to the DOJ request: A) do nothing; B) include a citizenship question; or C) use administrative data to estimate citizenship at the local level. The two leaked memos, which were of course issued before the March 26 decision and designed to inform it, make the case that Option C (using administrative data) would be the best choice. The second memo actually considers an Option D, combining administrative data as well as asking about citizenship to fill in the gap, which the memo argues would be costly and not produce better data. The key finding of the first memo is that the 2016 ACS shows that 9.8 percent or 12.3 million households have at least one noncitizen. Based on self-response rates in the 2010 ACS relative to the 2010 census, which had no citizenship question, the memo estimates there will be a 5.1 percent increase in the number of non-citizen households that will require non-response follow up (NRFU). This estimate is based on the idea that while the self-response rate analysis showed that both citizen and noncitizen households had lower response rates to the 2010 ACS than the 2010 census, the self-response rate for noncitizen households was 5.1 percent lower (p. 001280). This means that the number of households requiring NRFU will increase by 0.5 percent (one-half of 1 percent) — 5.1 percent times 9.8 percent (p. 001282). This may be correct, but it is important to keep in mind that the Bureau did not conduct any new research to create this estimate; it simply compared the census from nearly a decade ago to the ACS at that time. It is not clear that this is an apt comparison. The 2010 ACS was much longer, creating much more respondent burden than will the 2020 census with the citizenship question added. Moreover, the decennial census in 2020 will benefit from large-scale advertising about the importance of taking part in the census. In contrast, in 2010 most Americans had not even heard of the ACS or appreciated its value. The same is true today. 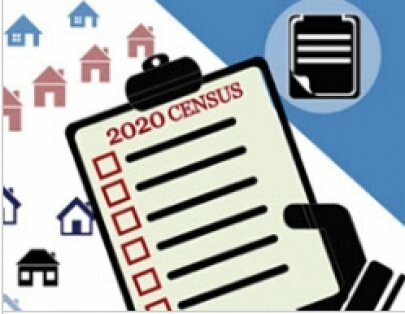 Therefore, it is not at all clear that the 2020 census with just one additional citizenship question will follow the pattern of the ACS from a decade ago. Even if one assumes that there will be a 0.5 percent increase in NRFU, which the memo argues is a conservative estimate, the effect still seems quite small in the context of the overall size of the decennial census. According to the first Census Bureau memo, a 0.5 percent increase in NRFU would only amount to about one additional household interview per enumerator (p. 001291). The impact on costs seems equally modest. The memo estimates that for the 2020 census, a one percentage-point increase in NRFU cases would raise costs by $55 million. Therefore the 0.5 percent increase in NRFU due to the citizenship question would raise costs by $27.5 million (p. 001282). While this is real money, it is only equal to one-fifth of one percent (0.2 percent) of the 2020 census's expected budget of $15.6 billion. Even if non-response rates double, the increase in costs would still only be one-third of a percent (.35 percent). Given the enormous size and expenditures associated with the 2020 census, it is hard to argue that adding a citizenship question is prohibitively expensive based on these estimates. The first memo argues that Option C, using administrative data to create block-level citizenship data, is the best way to comply with the Justice Department request for local-level data. The argument is that administrative data has fewer errors than survey data, as it is common for respondents to misstate their citizenship. The memo states that in, "no less than 23.8% of the cases, and often more than 30%" of cases when a person who the administrative data indicates is a non-citizen, the 2000 census, 2010 census, and 2016 ACS, showed they had reported they were U.S. citizens (p. 001283). Of course, only about 7 percent to 8 percent of the total population are non-citizens, so even if 30 percent misreported their citizenship it would still only equal something like 2 percent to 3 percent of the total population. Moreover, the memo states that the ACS and 2000 long-form census data do "have more complete coverage of citizenship than administrative record data." According to the memo, citizenship information is missing in 10.9 percent of the administrative records and 6.3 percent of the records in the 2016 ACS (001284). As for costs, it does seem clear that using administrative data would be the much cheaper option. The bureau estimates that doing so would cost between $500,000 and $2 million (p. 001285). The second memo included with the package of items released to the media responds to a request from Secretary Ross to explore the idea of combining Option B (including the question on the census) with Option C (using administrative data). This is referred to as Option D in the second memo. The option involves creating a comprehensive citizenship list from the 2020 census with a citizenship question combined with administrative data. This list of citizens would then be continually updated from administrative data. For reasons that are not clear, the citizenship question would be dropped from future ACS surveys or decennial censuses. This second memo is largely devoted, again, to making the case for Option C.
The second memo, more so than the first, does run through the many weaknesses of administrative data. For example, many people do not have Social Security numbers and an unknown number of naturalized citizens do not inform the Social Security Administration that they have become citizens. But as is argued in the first memo, the Bureau hopes to get access to immigration records from USCIS to solve at least some of this problem, though the memo discusses some of the known problems with USCIS. Given the traditional problems associated with immigration statistics, it seems almost certain there will be unforeseen gaps in the data if the Census Bureau attempts to use those statistics to help estimate citizenship. The second memo's most important argument is that non-citizens who are also not LPRs and do not have an SSN or ITIN have a "strong incentive to provide an incorrect answer, if they answer at all." (p. 001311.) This, of course, is simply a recognition that some large share of illegal immigrants may not answer a citizenship question truthfully, may leave the question blank, or may simply refuse to answer the census. As a result, those whose citizenship information is missing from the administrative data are also the people most likely to lie or not answer the question in a census. This is certainly a reasonable point, but the extent of the problem is far from clear. We know from the Survey of Income and Program Participation (SIPP) that a large share of illegal immigrants are willing to respond in the survey that they did not enter as LPRs and are still not LPRs at the time of the survey. The data is considered so good that this analysis and this analysis both use information from this Census Bureau survey to help estimate the size and characteristics of the illegal immigrant population. Contrary to the assertion in the second Census Bureau memo, it seems at least likely that a citizenship question in the 2020 census could augment information coming from administrative data. Though, to be sure, it would not solve all the problems. The two Census memos released by the media certainly provide much useful information and analysis. They are well worth reading. But they do not seem to make a particularly strong case for not asking a citizenship question in the 2020 Census. To be sure, there are costs to doing so and some risk that it might reduce response rates. But the costs and risk seem manageable, and the information such a question would provide would be valuable. Secretary Ross considered all these issues in his memo outlining the decision to add a citizenship question to the 2020 census. At this point, Ross's decision seems like sound one.